Each time I read this my heart swells. The possibility. The hope. The sheer logic. Yes, yes, of course the internet will be the savior of scholarly communication. We shall all find the information we need to learn, to help people, to effect change. With one click, we shall access data, share ideas, find answers, solve problems. Yes, leveraging technology will remove the physical and cost constraints that print brings. We’re wide open! The statement above is the backbone of “open access” (OA), a term born of the Budapest Open Access Initiative (BOAI). OA’s purpose and definition was set forth more than 10 years ago in a document endorsed by thirteen minds set on improving the state of scholarly communication. They knew the free and unrestricted availability of peer-reviewed scholarly journal content on the public Internet would tear down the barriers that had previously limited the sharing of research ideas and findings. Instead of signing over exclusive copyright to a publisher, the author could maintain control of his work, disseminating it on his own terms. With OA, the author could claim the right to protect the integrity of his work and to be properly acknowledged while also allowing unfettered electronic access. 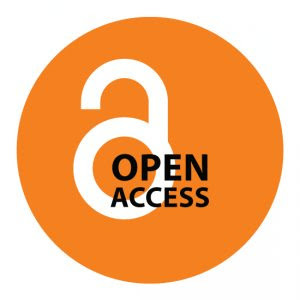 Access means reading, downloading, copying, distributing, printing, searching, linking, crawling, extracting – anything that increases the likelihood that this work will be seen and used by more inquiring minds, which is the primary intent of academics who publish their work in journals anyway. Thus OA seems ideal. Authors and peer-reviewers don’t get paid, never have. Their reward is in the impact of their work. The bulk of the cost has always come from the printing. That cost is gone. For very little money articles can be formatted and stored online. Views and downloads can be plainly measured and made transparent. But then why is it that most of the time I click “full-text” only to find a prompt for my credit card number? Why does downloading an article cost as much as a hardback book? The long answer lies in the incongruity between the spirit of free flowing knowledge creation/ exchange within academia and the profit-driven dissemination model of academic publishers predicated upon restricting this flow of knowledge. For hundreds of years small publishing houses run by academic societies simply wanted to provide researchers a channel to reach their distant colleagues, but the late 20th century saw corporate conglomerates absorbing these smaller presses and claiming a monopoly on the market. And what a market it has become. In recent years, leaders in academic publishing like Elsevier, a sprawling scientific press, have reported annual profits of more than 35% on revenue topping $3 billion. This return of revenue is unheard of even among even the topmost industries – more than 10% higher than the average in oil, pharmaceuticals and banking. Even while the move to digital has dramatically reduced publication costs as demonstrated by thriving OA journals, electronic journal subscription prices have spiked in the past five years, rising well above the consumer price index. Essentially, we are paying academic publishers astronomical prices to access and use the same work we handed over to them for free. OA can rectify this misplaced focus on monetary gain. Although I’d like to see the academic publishing regime topple because I find its business practices repugnant, I don’t think that is the primary intent of the OA movement, just an added bonus. Instead, it is simply to reclaim the conversation among the curious; to fuel the discussion with the most current evidence, most rigorous arguments and latest technologies available; to ensure that no one is excluded from participating because they cannot pay to listen to their peers. Sure, taking on the burden of publisher as well as writer and reviewer means more work for librarians like me and for my friends who are diligently and passionately carrying out their research, but in a sense, we’re already doing this. Managing a blog or website certainly does not require the same commitment as managing a peer-reviewed journal, but I’m convinced that it’s not that far off from existing online collaborations. Whatever you can commit right now, perhaps only the promise to learn more about the movement or to debate the topic with your peers, please do. Every dialogue about OA makes it more likely that the BOAI’s vision of “uniting humanity in a common intellectual conversation and quest for knowledge” will be realized. Lana Brand is a librarian with a graduate degree from the University of South Florida. She is currently working as a hospital librarian serving rural Northeast Georgia health care providers and their patient community. Her research interests lie in information access and information literacy, along with the culinary arts and yoga. Great and informative post! I have some questions though: Where does copyright fits into all of this? Can I make available copyrighted work if I give credit? What are the legal issues around posting, say a journal article, from a pay-walled journal? I guess I'm asking about the line between OA and "pirated" works? As far as I know, works under copyright cannot be considered for use in an OA setting without permission from the owner of the copyright. Using content that the author has claimed exclusive rights upon is indeed possible according to fair use standards (http://www.copyright.gov/fls/fl102.html). The most prevalent exercise of fair use in academia is "for nonprofit educational purposes" although there have been law suits brought by publishers against universities, which fortunately have not been successful (http://chronicle.com/article/Long-Awaited-Ruling-in/131859/). OA journals are predicated upon the author claiming only the right to attribution via a Creative Commons license (http://creativecommons.org/licenses/). Usually the Attribution-NonCommercial-ShareAlike license is chosen. Essentially, OA works cannot be "pirated" because the author has agreed that you can copy, distribute, and build upon their work as long as you acknowledge where it came from. Thanks for this - OA is a perfect example of the type of social justice movement that we need to keep moving forward with. There really isn't a question is there? There remains a question in regards to the example in question (an article from a pay-walled journal). Lana replied that fair use "for nonprofit educational purposes" has been used in academia primarily by universities. Could the same use be applied to a website? Would the site have to be registered as a non-profit organization? This site is a good example - could the owners of the site share a journal article based on the nonprofit for educational use argument? I wonder if, legally, this is a grey area, or more black and white? Fair use can be applied to any medium, so a site like Recycled Minds (or any site for that matter, non-profit or otherwise) could share a journal article without permission (or some other copyrighted work) if the purpose is to provide commentary, criticism, research, etc. regarding that article. The fair use doctrine is meant to strike a balance between copyright and progress, so the four factors of analysis (http://www.copyright.gov/fls/fl102.html) are used to determine when copyright does not apply. Purdue's library does an excellent job of breaking down the explanation and best practices for fair use (http://www.lib.purdue.edu/uco/CopyrightBasics/fair_use.html), but fair use is only officially determined by the courts when a copyright holder brings a lawsuit against someone for allegedly violating their rights - making it a grey area rather than black and white. It would seem to me that most scientists and scholars would want their work out there and available to the public. Is there some reason why they wouldn't? Or is it simply the system within which they function? I'll have a go at this question. Yes, the system scholars work in is a big part of it, particularly the issue of prestige: Journals have been around longer, and specific journals are seen as prestigious, much the way older Universities are more highly respected. In certain field you may not be hired/tenured unless you've published in the premier journal. Academia is notoriously slower than, say, the corporate world in accepting new concepts, including new technology. In this light, Open Access publishing is very brave on the part of the scholars who do it, and even more remarkable that it's come as far as it has. Great post and good question, by the way - these are the conversations that speed good progress. fair use and open access are two different things. a site like this could use something that is not open access under fair use - say for purposes of research or review.if it's open access though, there are less likely to be any issues with such use.